Call (905)986-5945 for daily flying. 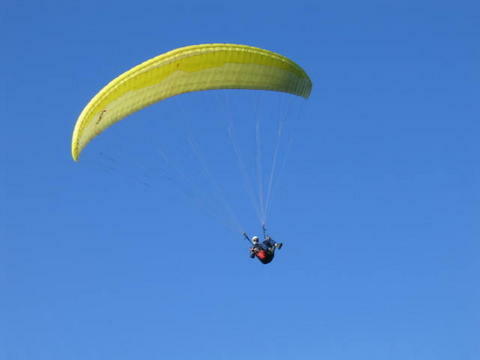 Hang gliding and Paragliding are the closest human�s have ever been to the real thing. It�s easier than you think. A feeling of flying free without gas, using earth's heat to turn in thermal updrafts, follow a red tail across the country sky into the sun.